« Corsair Glaive RGB Gaming Mouse Review, An Ultimate Ergonomic Design? This 21.5 inch monitor definitely gets the job done when it comes to using a 1080p resolution. It is lit up by LED lights and has a 50,000,000:1 contrast ratio. Contrast ratio is the difference between the darkest black and the whitest white that the monitor can produce from various types of video such as movies or games. This is a great ratio and I must say that the contrast ratio is perfect for me while playing my favorite games such as Dying Light or Skyrim. This monitor also has different viewing positions. You can tilt the monitor a little bit to display content in a different point of view. It can angle a tad bit upward and a tad bit downward. I think the only time I would actually tilt the screen is if I had to use it for a presentation of some sort and had to tilt it upward to give an awesome angle to the viewers. On the bottom right-hand side of the monitor are navigational buttons to mess around with the settings and to power up the screen. The buttons have a great feel to them and you’ll be able to feel which buttons do what without even looking at the button icons. If you use either HDMI, DVI or VGA with your PC build then just know that this monitor is compatible with all of them. I would personally suggest DVI because of the pins. I feel like a DVI video cable would stand the test of time longer than a HDMI cable but I’m not entirely sure. HDMI and DVI basically have the same level of video quality. This would be a great monitor go dual screens with. The picture quality is great and setting up is very easy to do! If you get this monitor then I would highly suggest exploring through the different settings of the monitor so that you can adjust the picture however you see fit, however you’d like it. If you don’t like brighter screens then you have the option to change that. I have personally not messed with the screen brightness because I love a bright, crisp screen but I did mess with the color options a little bit just to get it right where I liked it most. I have used this monitor for the past 5 years and there has been no sign of ware or tear. It is extremely easy to clean, I have found that by using a slightly damp paper towel and wiping it lightly on the screen while it is powered off does just the trick. This leaves the screen nice and clean and gets rid of any smears that may have been produced from touching the screen. My screen does in fact get dirty here and there but I only really notice it when the screen is either off or if I’m in a super dark area/part of a video games/movie. Cleaning the screen is pretty simple. Get a damp paper towel or cloth and wipe the screen down while it is powered off. Then dry it off and it’ll get clear again. It takes mere seconds for this monitor to power on. You won’t have any troubles of it taking a while to boot up like older monitors. Older monitors would come up with a screen for a noticeably long while and then boot up whereas the ASUS monitor that I’m reviewing here has the first screen just pop up for a couple of seconds then presto it gets right to the picture. I also LOVE using this monitor while doing anything with graphic design because of its brightness level. I’m able to see the colors and different aspects inside of a program like Photoshop absolutely crystal clear and it is very nice! One downfall that would have to go with this model, or possibly at least the 21.5 inch model, is that whenever I may bump into my desk then the screen tends to wobble a little bit. It’s not a horrible amount that affects my experience with it and I still to this day definitely don’t regret purchasing it. 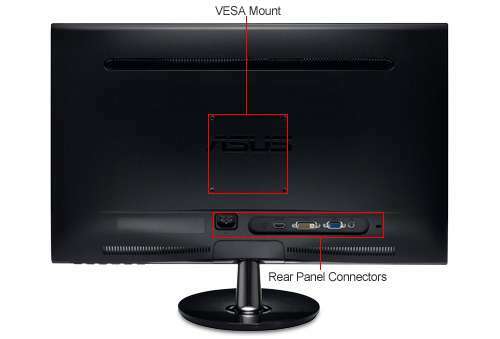 To summarize my review I’ll list a few pros and cons of the ASUS monitor. Able to display a screen resolution of 1920 x 1080. Many settings to customize the picture quality/color and brightness levels. The stand that the screen sits on wobbles when there is movement with the desk but its nothing that is so crazy to where it is unbearable. Doesn’t go any higher than 1080p resolution. Easy to get smudges/smears on the screen, BUT it is easy to clean off. All in all, if you’re looking for a monitor that is at a good price range that still delivers a top notch 1080p resolution type of picture quality then this would definitely be the right monitor choice for you. It’s beautifully designed with its slickness and crisp screen quality. So what do you guys think of my ASUS VS228H review? Is this the best monitor for 1080p resolution? Tagged 1080p, asus, best computer screen, gaming monitor, monitor, pc screen, screen. Bookmark the permalink. This looks like the monitor for me! I SO need to upgrade and I NEED split screen… AWESOME! This monitor would definitely work great for dual monitors if that’s what you’re referring to with split screen! Hey, how do I create a profile? Are you wanting a profile picture when commenting on sites like this? You’ll have to use Gravatar to create an account and what not, it’ll link with all WordPress websites. It’s always great to have a high quality product and 1080p resolution monitors are exactly that. I agree, ASUS has some of the best computer products on the market. Thanks for the comment, Ed! This is great monitor, I love it very much. $130.00 is so cheap, I got this one last year from local PC center and it cost me almost $300.00. Dang Seth, quite the difference there! Amazon always has great deals and you can’t go wrong when you deal with them, especially when it comes to computer peripherals! Hey would this be better? It is a bit bigger of a screen, but this really will come down to personal preference as to how you want your screen. This ASUS screen is going to be closer to the base and the monitor you’ve linked is a little higher up from the base. That’s really about the only difference. Performance wise, they both perform about the same when it comes to gaming. How many hz does it have? This monitor has a refresh rate of 60 hz! do you think this monitor would be a good one to use. just like what would your opinion on this one be? Is this the exact one that you’re referring to? It’d be a great one to use XD that’s a really good monitor and having a 27″ screen would definitely be awesome to have, ten fold. It’s got great specs with a 5ms response time and 60hz refresh rate, it’s perfect for 1080p gaming Ryan. A 60 Hz monitor, with VSync on, will cap the FPS at 60. With VSync off it’ll be whatever your max FPS is! You won’t be able to see anythig higher than 60fps, because the monitor can only show 60fps. If your )C can go above 60fps then I would recommend a 144hz monitor if you can afford it, it’ll be more expensive though. Basically almost everything is the same except for the brand and the size. Something that keeps bugging me is that the one i say has IPS and the ASUS one does not. Is it that important? I don’t see a link to whatever monitor you’re talking about? Unless you’re talking about this Asus one. I’ve been using it for years and Asus is an extremely trust worthy brand and product line man! By looking at it it seems to me like a pretty good monitor, with gaming in mind. At 1080p resolution, 5ms response time is sort of the standard go to rate to make sure that there isn’t any amount of lag between moving your mouse or hitting a key on the keyboard to how the screen responds. It’s the ideal response time for a monitor like this and that means it’ll be good for gaming, even competitively. The only “flaw” that I see with it is that is does not have any HDMI ports. There are work arounds with that though, DVI-D is just as good if not better than HDMI (I use it) and this monitor has that. I suggest using that port anyway, the monitor will come with the necessary cable to make it happen. If you still wanted to go with HDMI, they have adapters that’ll allow HDMI to work on it. Is it the right choice for this build? This one, right? If so then yes, it’s an extremely good gaming monitor. It’d even be worth waiting until it’s back in stock! Just ordered this exact build, thanks a lot! Do you know exactly what tools I will need to assemble this? You’ll want a Philips screwdriver and that’s about it really. A good surface to work on with no static electricity going on too. Be sure to check out the video that I have embedded within all of the build pages to make sure that you don’t miss a step as you move forward with putting it all together! $99 on Amazon right now after the rebate for the 21.5 in model….great deal! Awesome! That is a very good price for this monitor! I have the same model, very high quality! Would you recommend buying two of these for a duel monitor? Oh for sure. These would definitely work good for a dual monitor setup! It has a 23.6″ screen, 75hz refresh rate, and 2ms response time. Perfect, it’s going to be great for 1080p!! I like playing CS GO which requires 120 hz to 144 hz, any monitors you would recommend? or that monitor will do fine? It doesn’t require a monitor like that man, I’m not sure why you feel that way. The above monitor is a 60hz monitor which means you’ll see up to 60 frames per second which is extremely smooth and beautiful. The hz of a monitor lets you know how many frames per second will be displayed and although 144 is more than 60, it’s definitely not needed even at a competitive level of CS:GO. You’re talking about this monitor, right? They’re both 60hz monitors and they both have good picture quality. I’d personally go for the lower priced option which would be the 23in Asus one. One inch isn’t going to make a huge difference. Hey Colton. I bought BenQ Rl2240HE two days ago. It was around $140 here in India. How do you compare it to the Asus one you mentioned? Are you talking about this exact monitor? If so then you got what you paid for man, it has a better response time than the above one. 1ms is much better than 5ms. For gaming, 5ms and lower is basically the “golden rule” to having a smooth picture quality. It’s a great monitor man! 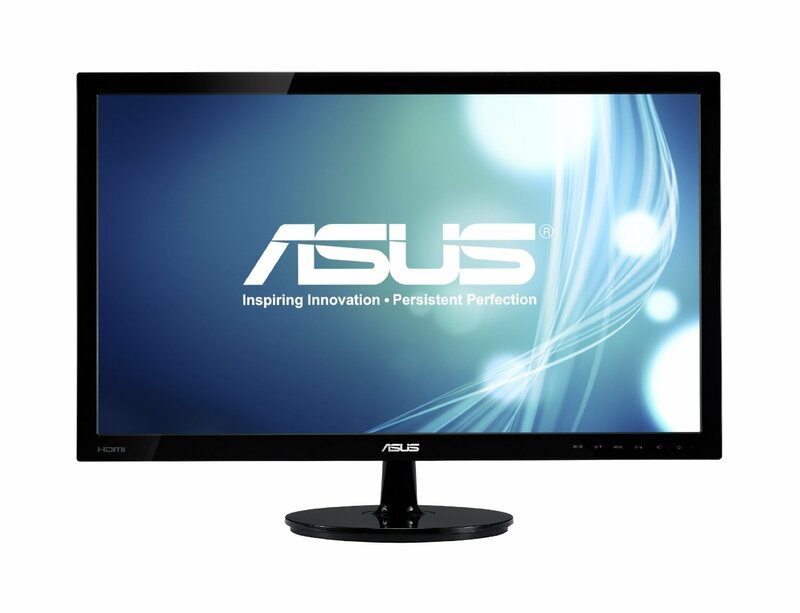 Hey, I’ve been researching this monitor a lot just to make sure if it was the right one for me (and my gaming)! Loved the review, and it sold me over, but does it have a jack for a mic from a headset (that I use to talk on skype or discord while I play with friends)? I don’t think I saw one (unless I’m blind) and I want to know before I get it. -And if it doesn’t, any recommendations for around the same price? This is the exact monitor I’ve been using for years, it’s awesome. There are no audio jacks or anything like that, but isn’t that where your PC would come in? 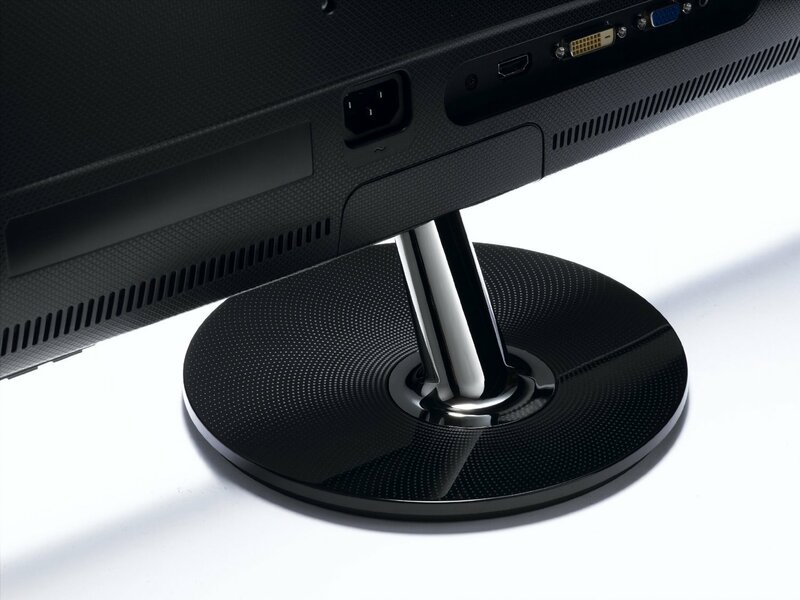 I don’t really know of any monitors that have jacks in them that are like this to be honest…you’d more so want to look at computer speakers or your PC itself for plugging in a headset/mic. Do you know any cheap monitors? I’d like one with wide screen (16×9) so i can play with black bars on cs:go. Do you know any monitor of that form of price. You’ll have a hard time finding one that beats this one, to be honest. Cheaper 1080p, 16:9 monitors like this tend to have less gaming performance due to not having optimal refresh/response rates. For $100, you can’t go wrong with this one. I believe it’s worth even more than that. Agreed. This monitor has not disappointed me a bit, it’s the truest clearest color and definition I’ve ever seen on a screen, and the size is perfect. Exactly! It’s hard to beat – especially when the price is just so good!! Even after 4 years of using it – it’s still doing amazing. Hey, will this monitor work? You’re referring to this exact monitor, right? If so then yes it’d work but I wouldn’t recommend it over the above one simply because the above monitor has better specs for gaming. would you recommend buying the Acer H236HL or the ASUS VS228H for a gaming monitor? Honestly Rathe I look at the price of both and compare the specs… the both virtually have the same specs. So it’d come down to if you wanted the extra bit of inches for your screen. I’d say to go for the VS228H. I’ve had it for many years now and it still works very well! It would really depend on the build that you’re going for Paul, it’ll vary depending on the CPU. Which build were you wanting to go for? 100% man, if you’re looking for a 1080p monitor that performs well like that Samsung one then this is it. The price range is just right, it’s great for gaming without having any lag from input and what not like you brought up and there’s no reflection on the screen at all. I’ve used it for over 5 years now and have had absolutely no issues at all with it! I highly recommend it!! I am very new to computers and with that i have a question, i have an old 720p monitor and i was wondering if i can use use it with the build you showed? Is it required that i upgrade to the one you recommended? Depends on what type of ports that monitor uses. Most likely yes you’ll be able to use it, does it have HDMI, DVI or VGA for video ports? If so then the graphics cards on the different builds here will be able to use any of those types of video connections though I’d highly recommend HDMI or DVI over VGA for higher quality. Hey man, this monitor looks great, but seems too good to be true. I’ve heard terrible horror stories about Asus’s cheaper monitors and their awful customer service. Can I really trust this monitor, and even if you say yes can you recommend any other monitors that I can look into? I’ve used this exact monitor for over 5 years and it hasn’t failed me once. I also have unplugged it and plugged it back in many times moving my build from my place to friend’s houses and what not and it’s still in very good condition. I use the DVI cable it came with and used HDMI for the longest time as well. It’s my favorite one when thinking about a lower cost yet still delivering on 1080p that looks awesome. As for other monitors, I’ve heard good things about this one from Acer but keep in mind that there isn’t a HDMI port, you’d have to use DVI which still has high quality like HDMI. You could also use this one from AOC – it also doesn’t use HDMI but I have a friend who has used an AOC monitor for a while now with no errors! Note that the VS228H does not have an IPS panel. The VS229H is IPS, but costs a little bit more. Right, I personally don’t think there is an insane difference in quality when looking at different angles with this one specifically. Though for someone that’s really into graphic design and what not, I could see why that’d be an issue. This Monitor I have found to be pretty awesome with my build. 144hz to me gives you that extra little bit of smoothness if you are into racing games or anything else that has a lot of fast pace action. For sure Drake, for those that want to spend the extra bit something along those lines is excellent. Especially for the price point! If the PC’s specs add up then it makes complete sense to go with that one.